Two brothers, who were involved in a shoot-out yesterday with a Union County deputy sheriff, have been captured and are being treated for gunshot wounds in Memphis. Timothy and Jeremy Rooker were captured this morning by officers of the Shelby County Sheriff’s Department. They were attempting to buy bandages and medicine for their wounds at a Dollar Store on Raleigh Millington Road on the north side of the Memphis metro area. Arrested with them was their mother. She may be charged with aiding and abetting the brothers, as they fled after firing a shotgun at a deputy during the incident near Ingomar, in southern Union County. The Union County deputy, at whom one of them fired a shotgun yesterday morning, returned fire with his side arm. One round fired by the deputy struck one of the brothers in the chest and that slug was said to still be in his body, as of late this afternoon. The other was hit at least twice, one round striking his arm and the other his shoulder. According to Union County Sheriff Jimmy Edwards, all three individuals are being treated and are under heavy guard at the Regional Medical Center (The Med) in Memphis. Their mother was also hospitalized after she complained of chest pain following the arrest. 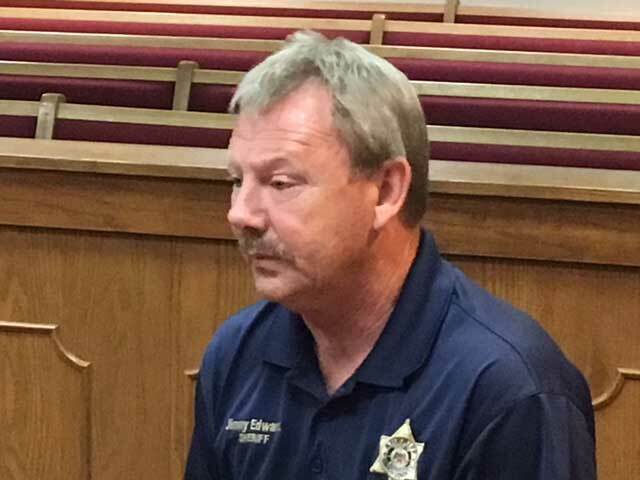 Sheriff Edwards said the investigation has confirmed that the sawed-off shotgun aimed at the deputy was fired at least once. The deputy sheriff was not struck during the fire fight near Union County Road 102. However, because they shot at the deputy, one or both Rooker brothers could be charged with attempted capital murder. The incident began when the Union County deputy attempted a traffic stop of the SUV the Rookers were riding in Thursday morning. After briefly stopping, the SUV sped away and was pursued at speeds in excess of 100 mph by the deputy. The driver of the SUV ran off the road in a curve of CR102, and the vehicle overturned. The Rooker brothers emerged from the SUV and fired at the deputy. They then ran away on foot, which resulted in an all-night manhunt by Union County officers and Mississippi Highway Patrolmen. A third man, Darius Porterfield, age 18, remained with the overturned vehicle and was taken into custody at the scene. Sheriff Edwards said Porterfield was in possession of an illegal firearm when arrested, which could result in a felony charge. Edwards said Porterfield had refused to cooperate during interrogation and might be charged with hindering an investigation. Because of their wounds, the Rooker brothers have not yet been questioned by law officers.